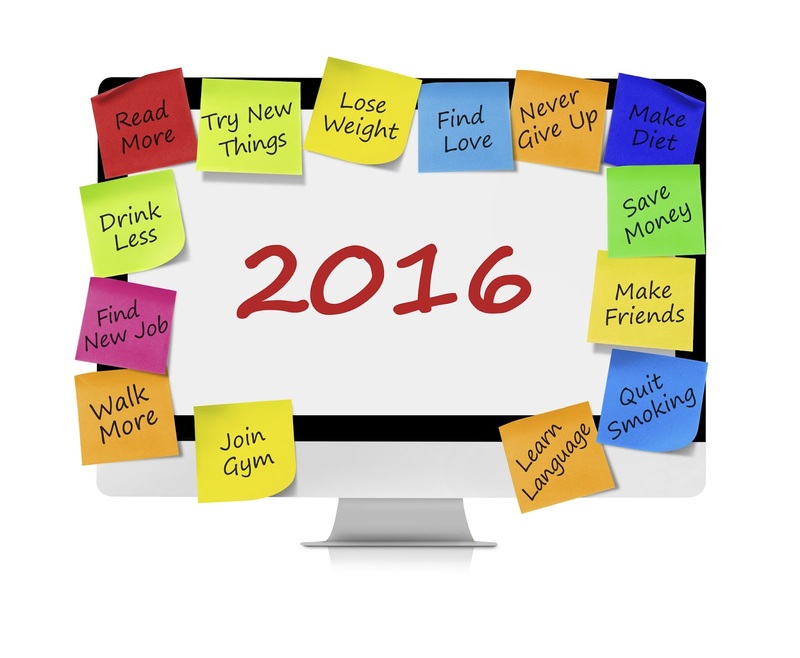 By the end of January, many of us will have forgotten all about our New Year's resolutions. It can be difficult to change our lives, even when it's for the better. Knowing this, we want you to know that, in your financial life, there are changes you can make today that will last the entire year. Here are three resolutions you can set today and some follow-up goals for the rest of the year. Today: Save money automatically. If you want to improve your net worth, build financial security or make a big purchase at this time next year, the easiest way to do so is simply to automate your savings. You can set up an automatic transfer to savings so you won't be tempted to spend it. With many of our savings products, you can even access the money if an emergency arises. Later: Set up an emergency fund. How much do you have set aside for a rainy day or to cover the unexpected? If an emergency came up, would you have to sell investments, cash in your retirement or borrow from family? Make this the year for setting up your emergency fund. You'll eventually want to have at least six months of income put aside where you can get to it. for now, start with $1,000, a month's income, or whatever feels realistic. It might be difficult to get in the habit of saving money, but this is the resolution you'll be really happy you kept if something unexpected happens. Today: Pay down your debt. If you're struggling with debt, there are three basic solutions for paying it down, getting your payments under control and getting ahead of debt. You can make more frequent payments, pay more each month or lower your interest rates. Paying more frequently makes sense if you get paid every two weeks: You might already know about the advantage of bi-weekly payments, which let you make the equivalent of an extra monthly payment every year. If you're already doing that or you don't get paid on a weekly schedule, you can also increase the amount you pay every month. Even an extra $25 per month is $300 per year, and you can set up those payments automatically. Make sure you increase your payments the most on the bills with the highest interest rates first, even if they don't have the largest balances. Finally, you can get ahead of your debt by lowering your interest rates. You can call the creditors who are charging you the highest interest rates and pay the bill, transfer the balanceto a credit card or loan with a lower interest rate, or see if they'll offer you a lower rate due to improved credit. One way to make this work is to arrange a home equity loan at a lower fixed rate, then move your balances with the highest interest rates to the loan. Later: Get control of your spending. It's time to make a budget and stick to it. Build rewards into the budget so you'll actually be happy to follow it. Take a look at what you use your credit cards to buy, then budget at least some money for those items or activities. You'll never keep a resolution like "stop eating out," but you have a good chance of keeping a resolution like "don't go over the eating out budget." This also gives you 12 chances to succeed: Every month you can do better than the month before. Today: Make a drawer. Many of us who have had the misfortune to act as the executor on a loved one's estate have had the terrible task of finding all the savings, debts, insurance policies and other financial parts of their lives. Don't do this to whomever is taking over your life. Empty a drawer in your kitchen or study and put as many relevant documents in it as you can find. Make a list of everything in the drawer and everything that's missing. Put a copy in the drawer and another with your will so it's as easy as possible for the grieving individual in charge. As with any sensitive, personal data, keep this information in a safe place that only you and the likely executor(s) of your estate will have knowledge. Later: Fill the drawer. What's missing from the drawer? Do you have a will? How much life insurance do you have? Do you have enough savings to take care of your children? What about a plan for how they will receive that money? Talk to a financial planner and insurance specialist to make sure you're set. With any luck, 2016 won't be the year you need it, but if it is, it'll be better for everyone involved if there's a plan. And that's it ... three things to do today and three projects to complete during the year. 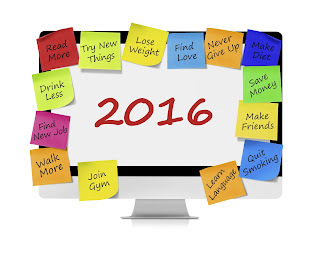 None of them are out of reach, so you're setting yourself up for success by making resolutions you can keep.